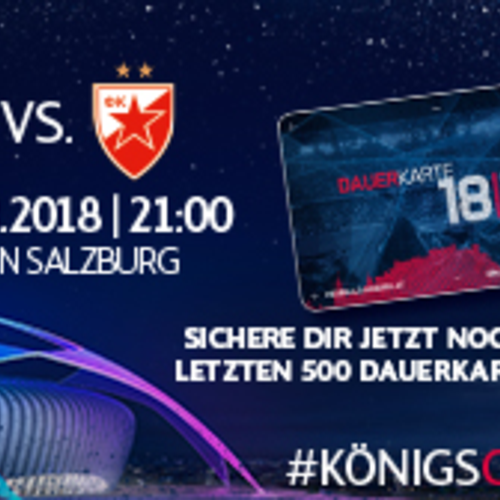 we are in the UEFA CHampions League Play-off and are to meet red star belgrade on wednesday 29 August 2018 at 21:00 CET! In accordance with our 'loyalty pays' motto we want to give our loyal fans something back for this hugely important match, which is why we are operating three sales phases. 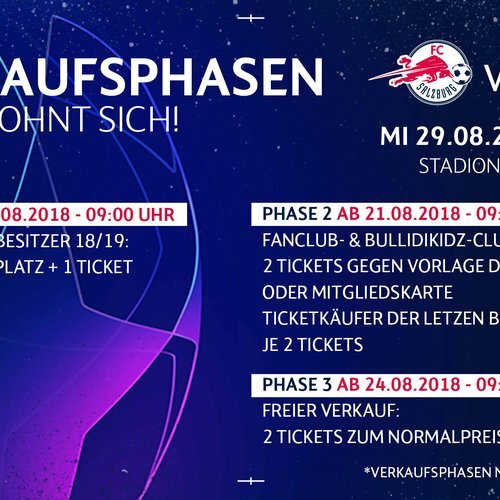 TICKET SALES START on Frirday 17 August 2018 at 09:00 CET in the Red Bull Arena. All season-ticket or Fancard holders already registered at Online Ticket Shop can access their tickets under the 'my account' heading and pay by credit card or bank transfer. 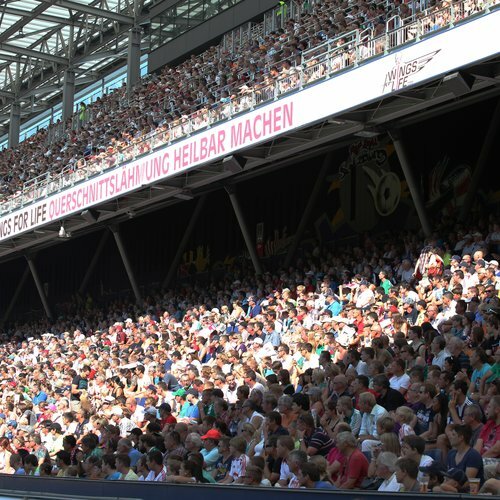 Holders of a Basic DAUERKARTE have a priority purchase right including a 10 % discount on their season-ticket seat up to and including Monday 20 August 2018. 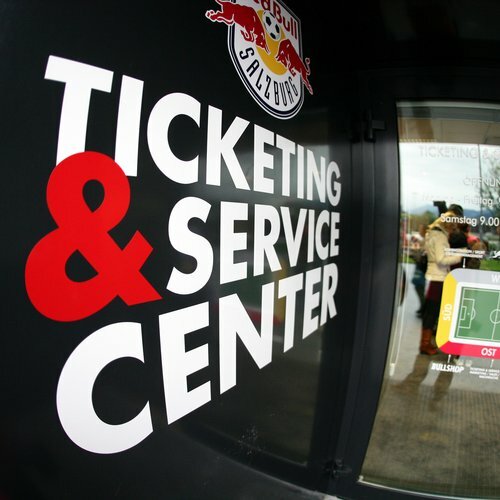 Holders of a Premium DAUERKARTE will have the price of a ticket debited from their account minus a 20 % discount. They can use their DAUERKARTE to access the stadium. Ticket sales at our usual ticket sale points is NOT possible for this match due to organisational reasons! On match days there is an additional €2.00 match day surcharge due on full-price and reduced price tickets. Concessions: available for schoolchildren, apprentices, students, pensioners, military recruits and those performing community-based national service, youngsters (aged 14 to 17) and disabled people (details). Children's price: valid from the age of 6 to 13 (no ticket for children aged 5 or under, but no separate seat).